Preventive patrol - This activity begins with the officer's mere presence in a marked vehicle in an area; however, in order to be truly effective, must include appropriate inquiry and inspection activity as well. A thorough knowledge of one's patrol sector, along with constant vigilance for the potential violations of public order and the curiosity to determine the reasons for unusual activity, will contribute greatly to the prevention of crimes and accidents. Crime prevention activities - Through regular contact with the public, members will become aware of situations which may have the potential for, or appear to encourage criminal activity. The road patrol officer is in an excellent position to educate the citizen and to enlist his aid in the prevention of crime. Response to called-for services - Because officers are in constant radio contact with the 9-1-1 Center while in an on-duty status, they are in a position to respond with appropriate speed to any call for service. Traffic Enforcement - An integral part of keeping our streets and highways safe is the vigilant enforcement of the Vehicle and Traffic laws of the State of New York. It is through reasonable and proper enforcement of these laws that a great many lives are saved every year nationwide. This includes special programs like STOP DWI, Selective Traffic Enforcement Program (STEP), a program that lets us concentrate patrols in problem areas where traffic safety is a concern using grant monies, and Buckle Up NY (BUNY) in addition to routine patrols. The SCSO has obtained two LIDAR (LASER) radar units through grants from the NYS Governors Traffic Safety Committee. First Responders - All members of the Sheriff's Department Road Patrol are trained in CPR and the use of an Automated External Defibrillator (AED - sometimes known as a Public Access Defibrillator or PAD). The sooner these life saving techniques are used, the greater the chances for survival. DWI education and prevention - The SCSO patrol division also helps to educate. 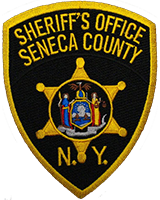 Personnel from this division reach out and teach DWI education at driver education classes in Waterloo and Romulus/South Seneca through the BOCES program. This division also teaches the F.A.I.R program (Fundamentals of Alcohol Intoxication Recognition) to bartenders and servers through out the County. FAIR is a program designed to educate alcohol servers on the signs of intoxication, how to cut off an intoxicated patron and how to better spot fake ID’s and underage drinkers. We work closely with the Cayuga Wine trail and the Waterloo Holiday Inn and have invited other bar owners to participate. Child Safety Seats - The SCSO participates in the Child Safety Seat program. This program is run through the NYS Governors Traffic Safety Committee and is funded through a grant(seats are bought)We have two certified technicians that help show the public the proper way to install a car seat and if the seat is unsafe we replace it with a new seat free of charge. This program is used at the Seneca County Health and Safety Fair and other events through out the County. We also take reservations at the LEC to help fit into the public’s busy schedule.